On a recent drive to Heathrow Airport I passed a curious shape on the back of a transporter - I couldn't resist getting a little closer to take some snaps. So a quiz - can you recognise it? Answer below. 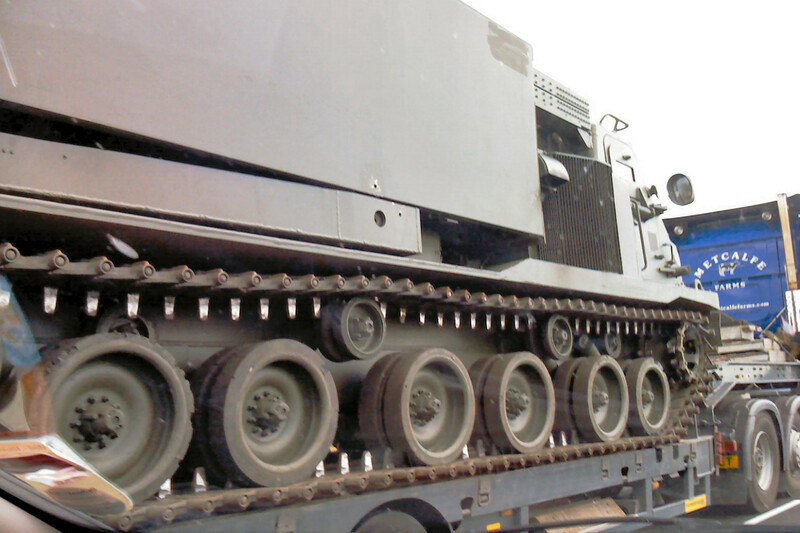 Of course, as it's a relatively new addition to the Royal Artillery's arsenal, it's likely this is a service vehicle and is therefore not going into PreservedTank.com's database any time soon. 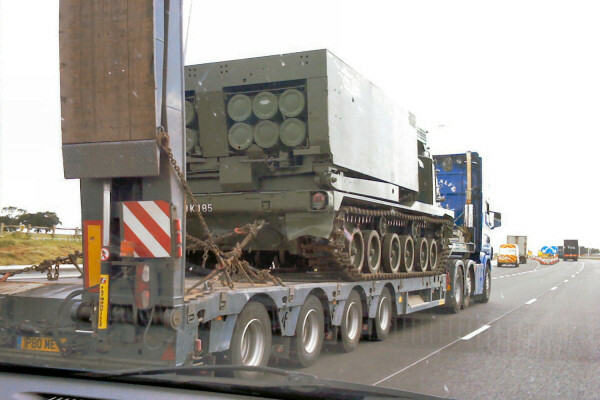 It is, of course, an M270 MLRS.